For years, Mother’s Day was agony for Ashley Gardner – a time of great sorrow and longing. This year, she has four perfect reasons to celebrate. Ashley and husband Tyson battled for eight years to fall pregnant, and along the way she was diagnosed with endometriosis. They eventually succeeded after finding enough money to try IVF – and hit global headlines with their reaction to finding out they were expecting not one, not two, not three, but four babies. 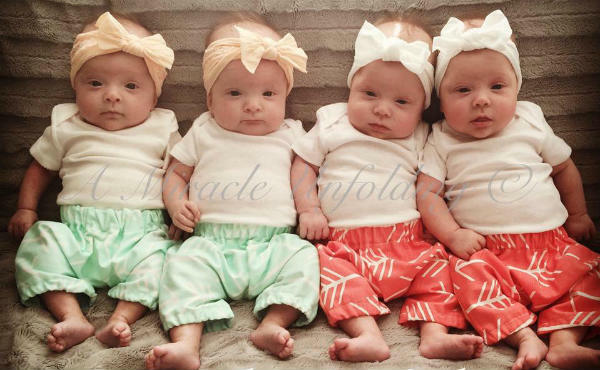 Daughters Indie, Esme, Scarlett and Evangeline were born at 29 weeks gestation on December 28, 2014, a belated Christmas present for their overjoyed parents. 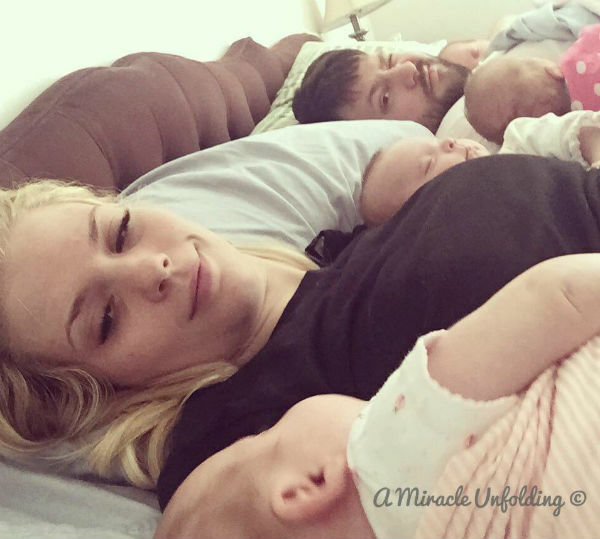 And now, finally, 27-year-old Ashley is getting the Mother’s Day gift she has long yearned for – cuddles with her little girls. “Mother’s Day in past years have been a VERY difficult day for me! It was just a reminder of everything I wanted but was not and didn’t know if I ever would be,” she writes on the couple’s website, Gardner Quad Squad: A Miracle Unfolding. “At church they dedicate all the services to mothers and over the years it became harder and harder to listen to. Not because I wasn’t happy for the other mothers. I was just sad I wasn’t one of them! I started not attending on Mother’s Day every year because it was too hard. 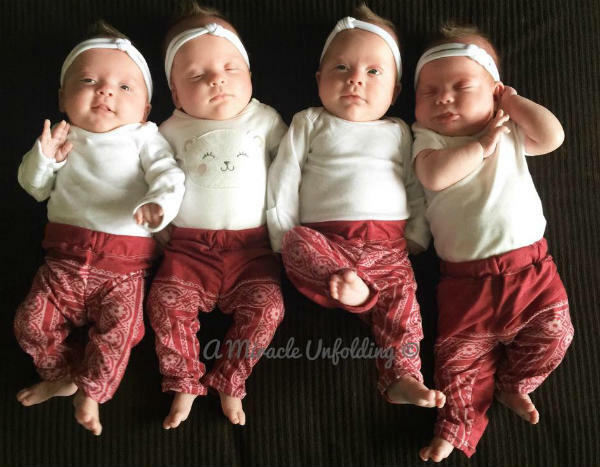 Ashley and Tyson’s quadruplets are two sets of identical twins – the two eggs implanted into her uterus both split. It makes them truly one in a million. You can follow the family’s adventures on their blog or Facebook page.